At no other time in our history could Salisbury resurrect his musical career like he has in the new millennium. 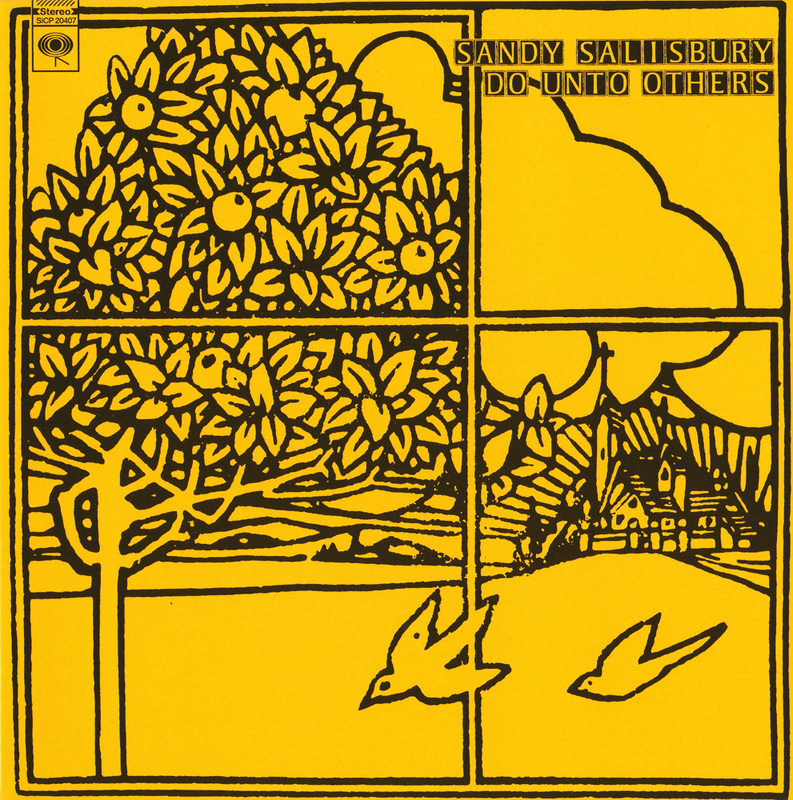 First gaining notice as a member of the band the Ballroom with producer extraordinaire Curt Boettcher, when Boettcher notcied he and Salisbury’s voices blended so well together one of the best sunshine pop partnerships of all time was born. Eventually the Ballroom was shut down and the two formed The Millennium. Luckily for Boettcher, Salisbury was as good a songwriter as he was a singer and was able to contribute heavily to both The Millennium and Boettcher’s next band, Sagitarrius. Though Sagitarrius only released one album, the excellent Present Tense, the duo continued to work together on a myriad bunch of other sunshine-pop projects and one-off’s. 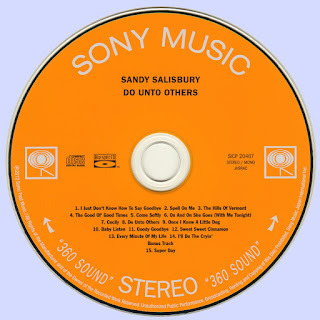 Usually set in a group context, Salisbury had a rare shot at solo fame when iconic producer Gary Usher offered Salisbury a solo deal with his Tomorrow label. An album was recorded and readied for release (entitled Sandy, the album was rumored to feature most of the Millennium) when the label was inexplicably shuttered, scuttling the album and souring Salisbury on the music business. Flash forward about thirty years. Music of the ’60’s from soul to brit-pop to freakbeat to psychedelic rock to sunshine-pop is all being searched out by any of the hungry consumers still willing to buy CDs. Seems the boomers want it because they want to re-live the sounds of their youth and the youth want it because they’ve heard time and time again how groundbreaking music from that era was and how little their music matters in today’s society. So, you’ve got everybody from age 18 to 55 looking to buy both the well-known classics from the era plus any obscurities labels are able to dig up. Though the charts don’t necessarily show these reissues tallying up any groundbreaking sales numbers (not that any new releases are tallying up any groundbreaking sales numbers) it’s no secret these comps and obscurities are doing huge business. It’s not for nothing labels big and small pushing new music are going under by the droves while a ton of reissue labels have sprung up and are thriving. Nor that mid-level artists are losing their record label contracts while reissue labels take the less confrontational road of buying masters from some accountant who used to be in a semi-popular psyche band and hyping their re-release like some recently dug-up Holy Grail. Sure, I’m dumbing the whole thing down. In most cases what’s happening is beautiful and well-deserved. (And believe me, there is plenty of great new music coming out, so don’t harp at me about that. Always been and always will be. You just have to dig a little deeper to find it, that’s all.Sometimes too deep, but it’s still out there.) Suddenly, a true artist who did excellent but much-overlooked work like Salisbury has a chance to re-connect to his fanbase and get some attention for his efforts both long ago and recent. This album and three others released in the past five years or so (along with a ton of Millennium tracks and outtakes) have been released by the excellent Sonic Past Records in hopes of turning on sunshine-pop fans both young and old to the glorious voice and songwriting skills of Salisbury. 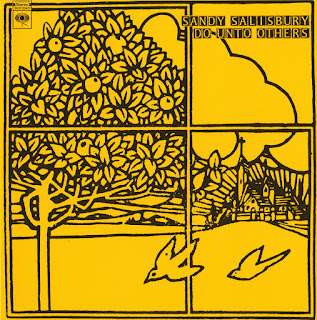 Though the album is made up of all old tracks rescued from someone’s archive, they show Salisbury at the height of his vocal power, singing as sweetly and genuinely as he’s ever sung, even besting most of The Millennium’s material as far as I am concerned. Salisbury’s songwriting is also formidable and while one listens to this album the question of why he isn’t a household name becomes inevitable as these great sunshiney songs fill your head with melodies a surgeon would have a hard time removing. Just sublime bubble-gummy pop. Since recording these songs, Salisbury has been a much-published children’s book author and has recently stated he plans an album of all-new material to be released very soon. Personally, I cannot wait. Fans of ’60’s music, especially sunshine pop, will love this album. Full of catchy melodies and spectacular vocal work, this album is sure to bring a smile to your face and leave you hummin’. Does it get any better than that?